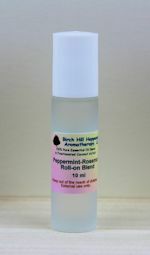 Roll-on Massage Blends and Natural Perfumes made "FRESH FOR YOU"
This wonderful selection of massage oils & natural perfumes are made "Fresh for You" on the day we ship them out. It will be rare to find another company willing to blend a massage oil fresh that is made "JUST for You. " Unlike massage blends sitting on your local spa's shelf, these massage oils are mixed the day you place your order using the finest essential oils and carrier oils. Roll-on when you need to be alert and focused. Blue Healing Oils to the Rescue! When you need a bit of Calming. 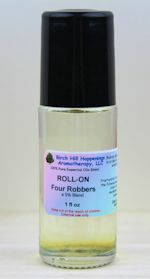 Roll-on just a small amount on those very sore, painful muscles and joints. Uplift & Motivate your Brain! Love your Feet, give them a treat! Roll-on to feel 'icy-hot' get to your joints. Warming & Relaxing - ooooo! Overworked those muscles & joints? When you need to stop those legs from moving when you want to sleep! A nice roll-on to make you feel so much better. A more powerful Roll-on blend. Super Blend for Muscles that are giving you a 'pain in the neck' or back! PLEASE NOTE: These products not returnable / non-refundable as we can not guarantee purity for resale. If you find that you can't use them, Simply pass them along to someone that can.